At this stage, you are recommended to upload or change the logo/emblem of your organization. To start using this feature, click on the Settings tab and then choose the Logo option under the Organization Settings menu, as shown below. There are 3 types of logos that you can change, organisation logo, invoice logo and application logo. 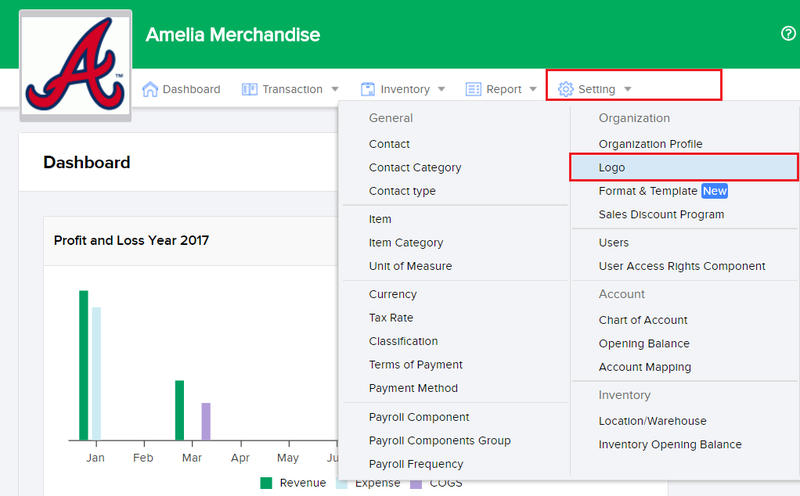 Organization Logo is internal and appears when journal and other internal documents are printed, invoices logo appears on the header of your company's invoices and application logo is the logo that appears in the top left corner on your dashboard, on the Sleekr Accounting app. Click the Browse button to source for the image files you want. Select the logos you wish to use for your company. Click Save Configuration to save and apply your configurations.